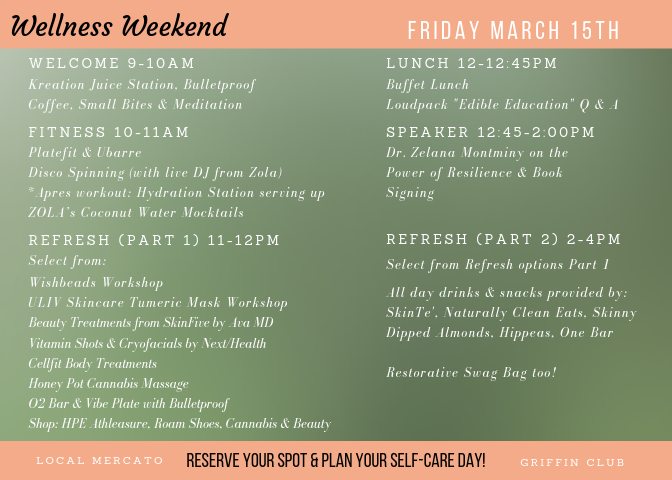 Join Local Mercato & the Griffin Club for a weekend of self care. Each day will focus on cutting edge restorative wellness, health & fitness. 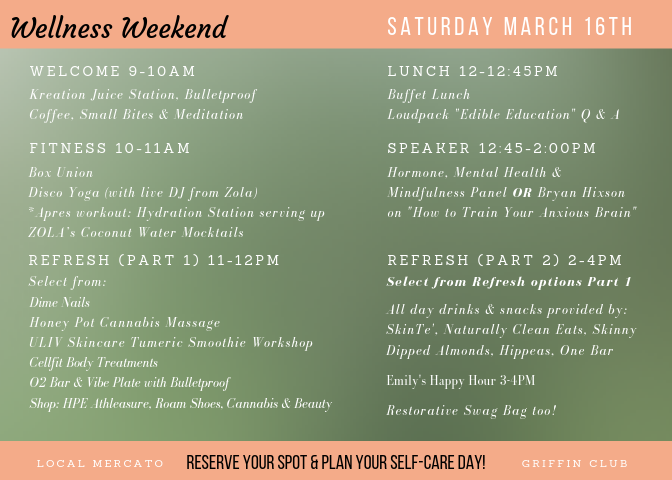 Learn from experts (doctors & scientists), listen to community thought leaders, engage in workshops, and experience the latest in beauty and fitness. *PLEASE NOTE SATURDAY TICKETS ARE SOLD OUT, FRIDAY TICKETS STILL AVAILABLE.